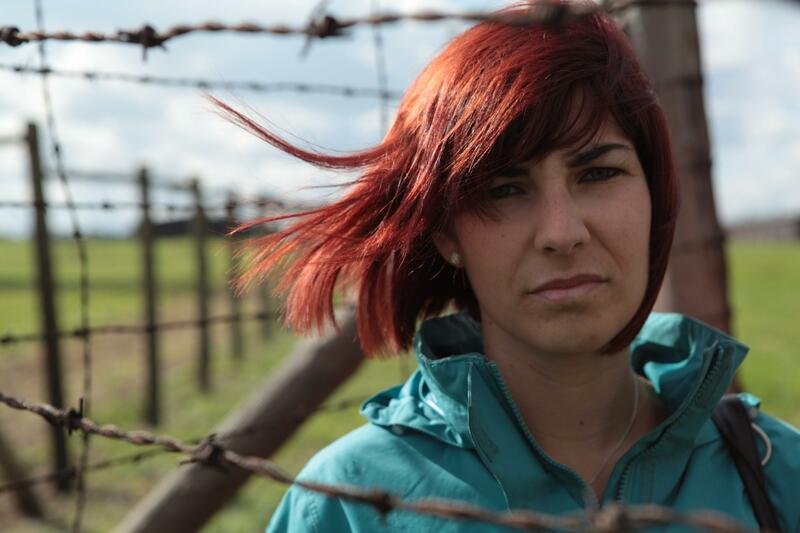 Archaeologists have unearthed unprecedented physical evidence documenting the extent of the killing at the Nazis' Treblinka death camp in Poland — and they let filmmakers document the finds as well. "The ethical dimension of the work that I do is really important to me," Caroline Sturdy Colls, an archaeologist from Staffordshire University who led the excavation. Treblinka is a name as infamous as Auschwitz and Dachau in the Holocaust list of horrors, but the site in eastern Poland is different: There were no inmates liberated by Allied troops, no photos showing disused gas chambers. The Germans finished their work at Treblinka in 1943 and bulldozed the camp. To cover their tracks, they went so far as to plant crops and build a farmhouse on the leveled ground. Eyewitness accounts from survivors and captured guards brought the true story to light: One camp at Treblinka was primarily a forced-labor facility. Another camp was designed specifically for herding thousands of victims at a time into one side of a "bathhouse," where they were gassed to death with carbon monoxide exhaust from tank engines. The bodies were taken out the other side for mass burial, and later cremation. After the war, Treblinka was turned into a memorial. Out of respect for the victims, no excavation was allowed there. That is, until Sturdy Colls and her colleagues won approval from Polish authorities as well as Jewish religious leaders to conduct a limited dig. "There are some questions that can only be answered by archaeology," Sturdy Colls explained. "As we enter, unfortunately, an age without survivors, archaeology can provide much more new evidence." Over the course of six years, the archaeologists developed computerized maps of the area using aerial photography, GPS technology, ground-penetrating radar and a laser-scanning technology known as lidar. Those maps helped them zero in on a handful of sites. "Without that technology, I never would have been able to do this work at Treblinka, because no one wanted excavations there," Sturdy Colls said. "Nobody wanted the ground to be disturbed unnecessarily." At three widely separated sites, the investigators dug down to find bones from previously unknown mass graves on the grounds of the labor camp. Some of the bones showed evidence of cut marks, which Sturdy Colls said would be consistent with tales of victims being chopped up before burial. Discovering the bones made for an emotional moment — but covering them back up was unexpectedly emotional as well. Sturdy Colls is accustomed to crime scene investigations where the evidence is handed over to pathologists for further study and final disposition. This case was different: The archaeologists' prime directive was to disturb the remains as little as possible. "What we were doing there was closing the lid again on that grave site. ... It didn't cross my mind that it would be me reinterring the remains," she said. At another site, the archaeologists found the first physical evidence of the brick bathhouse where hundreds of thousands were killed. They uncovered the building's foundation, as well as yellowish tiles that were stamped with six-pointed Stars of David. That ghoulish touch, which matches witnesses' descriptions of the site, was part of the Nazis' plan to lull their Jewish prisoners into compliance before they were killed. Sturdy Colls plans to return to the site this year for further investigation, with the aim of documenting Treblinka's history in an exhibit and a book. Following up on what she's found so far will take "at least another two years," she said. She expects the study to counter the lingering claims of Holocaust-deniers — and show that, despite its best efforts, Nazi Germany couldn't erase the evidence of a monstrous human tragedy. "They did a very good job of hiding it, but in actual fact, they didn't 'sterilize' this landscape," Sturdy Colls said. "They weren't that efficient."